Digital pianos are a great option for people who are looking for something similar to an old-fashioned acoustic piano, but that requires less maintenance, and that takes up a little less space. They incorporate a lot of really useful features for music production – for example headphone outputs, so you can play and listen to yourself without annoying your neighbors or family memebers. They also include adjustable sound levels, and can be hooked up to an amp for performances. You can tweak the sounds, and often load different ‘voices’ as well. A good digital piano will usually be less expensive than an acoustic piano, and can produce really good sound, even if it’s a portable one! 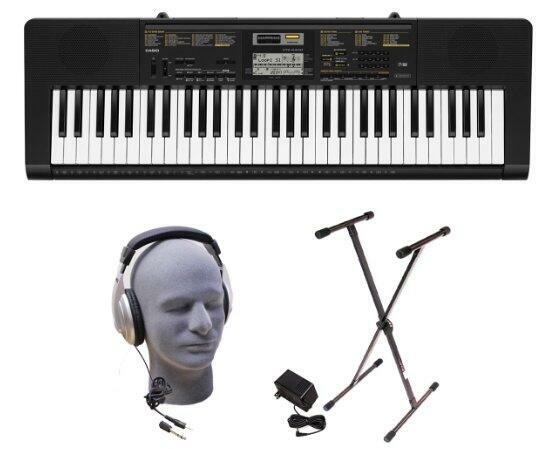 The trick is finding a good 88 key digital piano– preferably one that feels like a real piano, with weighted keys. Digital pianos can cost as little as $500 for a decent low-end model, to in excess of $1000 for one that’s a little more professional. You can get good pianos with 88 keys, that weigh as little as 25lbs, for just under $500. 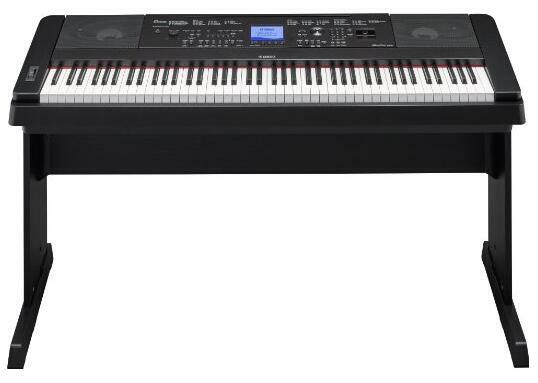 Models such as the Yamaha P-45, for example, are attractive, versatile, sound good and are great value for money. Alternatively, you could spend more than $1000 and get something like the Casio PX-860, which actually has a full piano-style frame, pedals, and a rest for sheet music. Perhaps the best 88 key digital piano for the money is the Yamaha DGX-660. 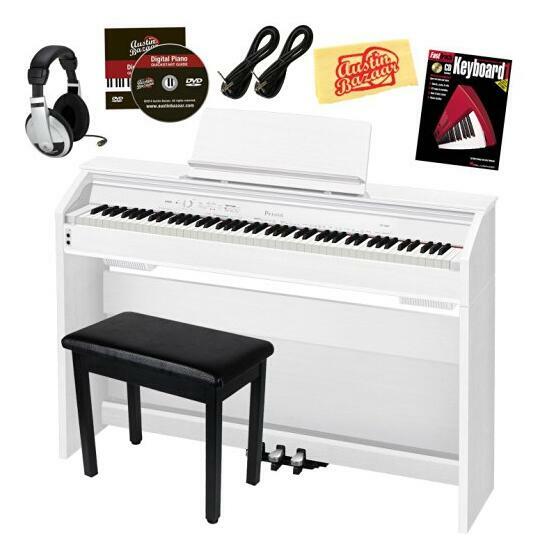 This is a mid-range piano that has received universally positive reviews, and that offers the perfect combination of ease of use and quality sound along with interactive features. Yamaha is known for making versatile, stylish and attractive instruments, and this is no exception. It’s ideal for performing and for practice. Hook up a microphone and sign as you play, then enjoy hearing your voice with digital effects. Record the performance as you play – store it on a USB stick and share it around for people to enjoy. The digital piano comes with the Pure CF Sound Engine built in. This is a state of the art voice tool that provides really high quality sound – including sound similar to that of the grand piano. The weighted keys are a boon for pianists of all ability levels. They make it feel just like an acoustic piano, so you can practice on this keyboard and still benefit from learning the right finger technique and building up the strength that you’d need to play for real. It’s the modern features that really stand out, though, such as the LCD that can show lyrics or musical scores, and the Smart Chord feature that will allow you to set up chords so that you can play professional-sounding tunes even if you’re a comparative beginner. You can also take advantage of the style recommender – play a few notes in the rhythm of the song that you’re planning to perform, and then this tool will give you a suggestion for styles that you might want to try. Which Piano is Right For You? So, it it worth paying several hundred dollars for this kind of piano? Well, that depends. There are some purists who feel that only traditional pianos with porcelain keys, strings and hammers are worth playing. There are others who prefer real synthesizers. However, digital pianos are powerful devices, and they can be great learning tools. The question is, how much can you afford, and what do you really want to get out of the device that you’re playing? If you’re on a tight budget, then you probably can’t afford a good traditional piano, but a lower-end digital one will work well for you, especially from a trusted make. It’s probably best to go for the full 88 key setup so that you can learn on a proper piano layout. You can get 76 or 61 key models, and even some that are smaller than that, but you have to remember that a lot of classics can only be played on a proper 88 key layout. Experts, and people who like to compose their own music, can get by with smaller setups, but most people will need to learn on an ‘official’ set up. The highest end digital pianos are set up to look just like traditional pianos, and that could be a good option for you if you like that luxurious look and feel. For those that prefer something more portable, there are other options, but before you open your wallet make sure you know what you’re getting. Things like piano stands, speakers, headphones, amplifiers, even a sheet holder, can all mount up. The ‘cheap’ device that you’re looking at could suddenly seem a whole lot more expensive when you factor in the not-so-optional extras. Yamaha do some great budget pianos, but make sure you read the description properly and understand what you’re getting. Some of the lower-end keyboards are just semi-weighted. This means that they feel more like MIDI keyboards. They’re comfortable to play but they won’t give you the same feeling or sensitivity as you would get from a ‘proper’ keyboard. However, you still get plenty of sound options (piano, electric piano, synth, bass and organ), and other features that make them well worth a look. It really, as you would expect, depends on your goals. You may decide to opt for a Casio instead of a Yamaha. This is another great brand, and one that you can trust if you are looking to get into the piano market for the first time but don’t want to spend a fortune. Casio’s lower end models are lower on features, but they don’t skimp on build quality, so you’re getting something robust and nice to work with, that will last you a fair while if you’re just looking for a piano like experience or a device to practice on at home in preparation for playing for real in a concert hall.